On October 15, Chinese and foreign delegates for the CPC in Dialogue with the World 2016, held in southwest China’s Chongqing, visit the building where Mao Zedong and Chiang Kai-shek held the Chongqing Negotiation in 1945, their first meeting since civil war. 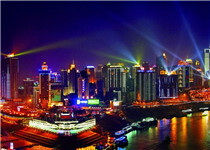 The building is located within the current compound of the CPC Chongqing Municipal Committee. Chinese President Xi Jinping on Tuesday called for more concrete exchanges with Mongolia in terms of governance and interaction between the two ruling parties.